Why do you see videos of people driving in their cars to sell you their stuff? What’s the deal? If you are wondering why it works so well, it’s because there are TWO layers of context going on at the same time. 1. The person talking, then constantly looking at you and the road creates a personable effect that you’re right there with that person, putting the viewer at ease. 2. The backdrop, which is the road itself, is MOVING. Anytime you have movement such as a STREET it tends to get viewers to watch longer. 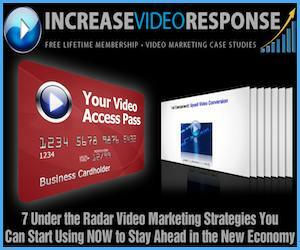 I’ve had local clients tell me that viewership, response and sales always tend to increase when they do it this way. But what if you’re using a FLIP camera and hit a bump? Can you afford this FAIL of the camera suddenly FLYING in some other direction or the camera suddenly drops down, where all you can see is the person’s chest or perhaps the FACE is CUT off? Fear not… because here is an affordable tool I use when I’m out filming video or just want to create the “simulated” look of “The Office” TV show or the “prosumer” feel that creates subtle handheld camera movement without it being distracting or amateur. Here is my secret tool for creating this effect. That above link is the direct link to the website and will show you different options to choose from and the different kinds of cameras to use with. I recommend the SpiderBrace 1 or 2 combo because you have more stability if you are out in the field shooting video. However, if you just have a small camera like the Kodak ZI8, then you can just get one of the mini-rigs. You can watch a demo of it in action below. Here’s a photo of me on location with the SpiderBrace relaxing on my shoulder without stressing my arms out, while keeping a steady shot. Let me know if you plan on creating any web videos this way or if you have your own video rig similar to this.